T-Mobile and Sprint continue to work to get their merger approved. 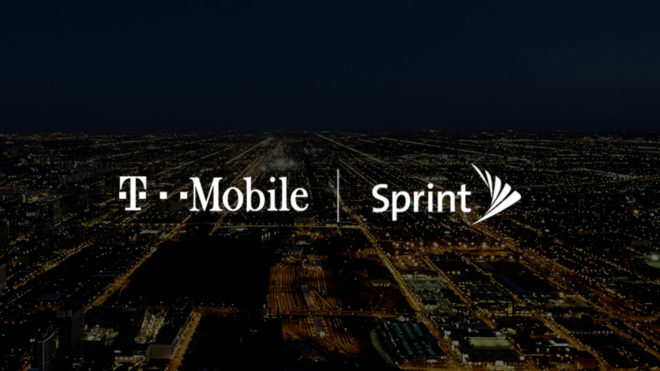 Today T-Mo and Sprint have promised to build five new Customer Experience Centers in the U.S. if their merger is approved. These Customer Experience Centers will be home to T-Mobile’s Team of Experts service, which launched last year as a new initiative to help T-Mo customers get faster and more personal customer service. T-Mobile and Sprint say that each of the five new Customer Experience Centers will create an average of 1,000 new jobs. The first of the five new locations will be located in Overland Park, Kansas and will be an addition to the current Sprint headquarters. T-Mo and Sprint have said that Sprint’s current HQ will be used as the New T-Mobile’s secondary headquarters if the merger is approved. Along with these new Customer Experience Centers, T-Mobile and Sprint say that they intend to expand two existing T-Mobile Centers. It’s estimated that the combination of the five new Customer Experience Centers and the two expanded T-Mobile Centers will create up to 5,600 additional American care jobs by 2021. One of the arguments that T-Mobile and Sprint have made in favor of their merger is that it would create jobs. When he testified in front of a Senate Judiciary Committee antitrust panel last year, T-Mobile CEO John Legere claimed that the New T-Mobile will be “job positive by day one” because it’ll create more than 10,000 jobs in new businesses like home broadband. Today’s promise to build five new Customer Experience Centers and expand two existing T-Mobile centers is another effort on the part of T-Mobile and Sprint to grow support for their merger, which is being reviewed by the FCC and DoJ. Opponents of the deal have argued that it will be harmful for jobs, with the CWA claiming that the merger will result in more than 28,000 job losses. After first taking away how many? Not a jab at T-Mobile, but the result of a merger means additional (necessary) overhead and duplicate roles at some point. Not everyone gets to stay on board. Exactly – was going to say – it’s like they are saying we will Hire 500 people after they let go of 2000. This is nothing but corporate double speak. I am not buying they need Sprint for 5G, thats the lie AT&T said they needed T-Mo for and we see that was a lie. T-Mo has a road map to do 5G with or without Sprint. Sprint will flourish if they have somebody as innovative as T-Mo’s CEO. No only. What about the malls where we can see a T-mobile center next door to a Sprint one?! Yep, more than likely they’ll create these 5,600 jobs after eliminating 12,000. Many people won’t put two and two together though and will except this as proof that the merger will result in net job gains. Oh snap. I’ll sign up. 15 year sales professional here. I can lie about your coverage too! That’s why you should hire me. Also, they’ll believe me.